I said YES...to this amazing wedding card holder! Wedding couples are getting so creative with their engagement photo shoot...why not put them on display at your wedding in this clever wedding card box. 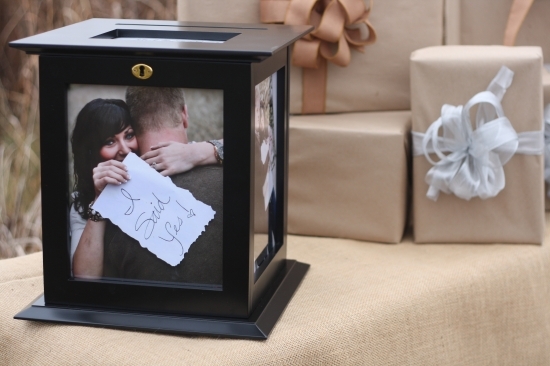 This wedding card holder locks, will display 4 of your amazing, creative engagement pictures! I love this I said YES pic. It will hold over 150 greeting cards ...PLUS it locks and rotates on a base so your wedding guests can see all sides. Also offered in white.